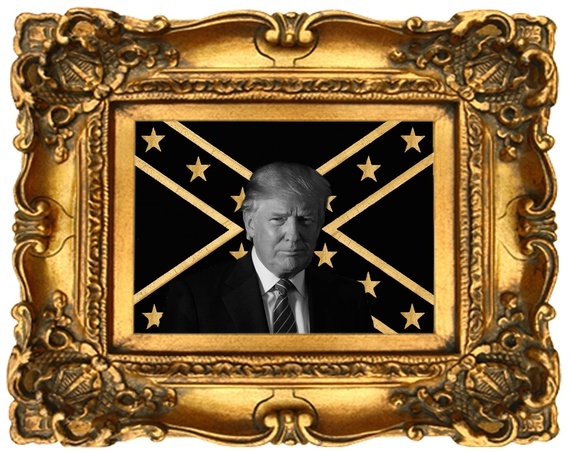 The Confederate States of Trump: Get Ready! If you are shocked about Donald Trump winning the election, don't be. Because it is more shocking that you did not see it coming. And very often folks who swim around in data sets and read the New York Times are out of touch with the American Midwest and South and also didn't see it coming. Such literate folk seem to forget one important axiom: the majority of Americans are a very emotional people. We are reactive. We are impulse consumers. We don't read. We don't study. And we like very short sentences. This is why someone can lose all the presidential debates, insult millions of Americans, encourage violence at his rallies, joke about sexual assault and still win the U.S. presidential election. We prefer wealthy bosses over lawyering public servants. We prefer reality TV and empty histrionic theatrics over meaningful consensus building conversations. We prefer trips to movies, bars and churches over a trip to a good mental health professional, turning national elections into a therapy session to process fears around PC identifiers, economic abandonment and the general anxiety of being voiceless. This is how bullies and car salesmen win; they prey on the weak, desperate and emotionally unfocused. "I am sorry to be the bearer of bad news, but I gave it to you straight last summer when I told you that Donald Trump would be the Republican nominee for president. And now I have even more awful, depressing news for you: Donald J. Trump is going to win in November. This wretched, ignorant, dangerous part-time clown and full time sociopath is going to be our next president. President Trump. Go ahead and say the words, 'cause you'll be saying them for the next four years: "PRESIDENT TRUMP." Michael Moore is no prophet, he just lives in Michigan so he gets it, and he understands the mindset of nervous insecure blue collar white men. He predicted that Trump would campaign heavily in the rustbelt states: Michigan, Wisconsin, Ohio and Pennsylvania. And true enough, not only did he focus on those states; he won them. He also won the whole damn South, making winning almost a sure thing. Steven Thrasher, writer for the Guardian in his piece published in May 2016, "Trump has to be the next president. American history dictates it", is so on point. The title says it all. Thrasher reminds us that progress is always met with a backlash, a push back, and a costly bill to pay after that 5 course meal you thought was a buffet. And now he warns us to hold our loved ones close. What should we really expect? We should expect Trump to say and do very stupid things. We should be ready for scandals and skeletons. But most importantly we must know that the radical right will wage a very strong campaign against Civil and Women's Rights. White supremacy will proliferate. Black Lives will matter less. More Women bodies will be under attack. More immigrants will live in fear. Ford will sell more F-150s and more people will fly Confederate flags as the Oval Office lead the singing of Dixie Ueber Alles. Someone will copyright the name "The Deplorables" and use it to start a successful country rock boy band. More innocent men of color will be shot down by cops. Foreign policy will become tense. The economy might tank. And even the most savage Clinton hater might have wet dreams of the Obama years. I am certain Trump will undermine his own presidency. Until then what should we do? First we must acknowledge the great historic campaigns of Hillary Clinton and Bernie Sanders for both inspiring millions of Americans to dream about breaking the glass ceilings on so many issues. Some of their work and words will undoubtedly live on and fertilize the next generation of public servants, showing us that the important work is a lifelong project. And I hope that this post election despair is translated to sustainable activism and palatable change for a greater America. In terms of President-elect Trump, we must push back even harder and stronger. We must build formidable coalitions. Our activist leaders must tune in and allow for new blood and ideas. The Democratic Party must be less corporate, more grassroots and more transparent. We must be more open to a multi- party system. We must urge leading protest movements to transform social media activism to real policy change and long term programming. The creative class must be ready to express resistance at every turn with a Trump administration. We gotta get "fired up" and "ready to go". The artists, writers, musicians and creative producers must be ready to keep Trump in view and in check at every moment. Film, theater and comedy folks got to bring it. And Hip Hop must wake up and come correct and get gangsta about the politics and real power struggle that will shape the next generation. From the death of Prince to the election of Trump, 2016 has more torque than a category 5 Floridian Purple Rain Hurricane. 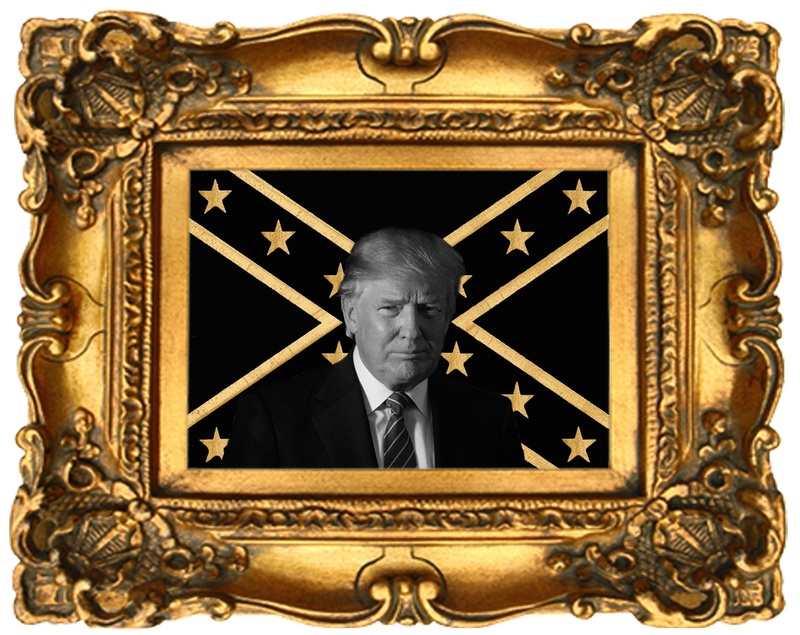 The Trump victory speaks to the fact that the USA is so divided going all the way back to the Civil War. Blue collar white male anxiety is real and formidable, fueling a social bipolarity that induces major mood swings from party to party. I hope that this brings a very serious call to deep social, political and cultural organizing leading to critical and sustainable progress and core transformation. The overthinking, under-feeling and general detachment are at top toxic levels. There needs to be an Emotional Reconstruction, where unity trumps duality, personal engagement trumps "zombism" and a collective creative resistance trumps Trump! We shall overcome this because there is no other option. So get ready!